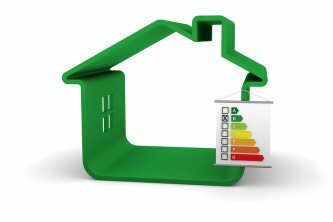 Your HVAC system is one of the biggest energy consumers in your home. While furnaces and air conditioners are expected to lose their efficiency over time, poor maintenance and neglect can cause HVAC equipment to waste more energy than usual. By having a heating and cooling company maintain your HVAC system, you will be able to maintain the ideal indoor temperature all year long while at the same time minimizing energy waste by keeping your HVAC equipment in tip-top shape. If air is lost via damaged ducts or poor insulation, you HVAC system must work harder to replace it, raising the cost of maintaining a comfortable indoor environment. Your Murfreesboro HVAC contractor can improve the overall energy efficiency of your home by more than 40% by addressing leaky ducts and inadequate insulation. Duct sealing may also improve the air quality inside your home, which can reduce indoor allergies and asthma symptoms. You can’t talk about comfort without mentioning your water heater. Without a well-operating water heater, you won’t get to enjoy the luxury and convenience of hot water on tap. Maintaining your water heater will also help prevent premature efficiency losses, which can end up saving you hundreds of dollars or more in energy costs over the life of your water heater. Professional inspection can also reveal whether it’s time to replace your water heater with a new, more energy-efficient model. 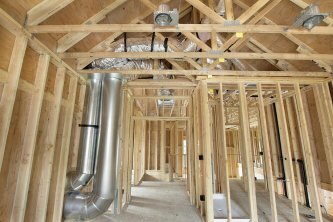 Ductwork plays an important role in heating and cooling your residential or commercial property effectively. Dirty or damaged air ducts can also cause indoor air quality concerns, affecting the health and comfort of your family, customers, or employees. There are numerous benefits of having your air ducts professionally cleaned by a HVAC contractor in Murfreesboro , but there are also more questions than answers surrounding this important service. To set the record straight and help you make an informed decision regarding your HVAC system, here are answers to some common questions about air duct cleaning. The biggest advantage of having your air ducts professionally cleaned is that you can significantly improve the quality of the air inside your home or business. Dirt, dust, animal dander, pollen, mold spores, and more could be blown from your vents every time your heater or air conditioner activates. Duct cleaning ensures that nothing but clean air will be circulated through your ductwork. Clean ductwork can also improve the efficiency of your HVAC system, which can lead to lower energy bills. The frequency of duct cleaning depends on several factors, not the least of which is your personal preference for sanity and cleanliness. In general, some factors that may lead you to consider more frequent duct cleaning include smokers in the household or office, pets that shed a lot of hair and dander, water contamination or mold growth, after major renovations or remodeling, and prior to moving into a new home or office. Air duct cleaning is not as simple as vacuuming a rug or wiping down countertops. Professional-grade equipment is needed in order to completely remove dirt, dust, dander, pollen, mold, mildew, and other airborne pollutants and allergens from your residential or commercial ductwork. You will also save a lot of time by hiring an HVAC contractor in Murfreesboro as opposed to cleaning air ducts yourself. And depending on the type of pollutants inside your ductwork, hiring a professional may also be safer than performing the work yourself.